If anyone out there is a fan of the well known Canadian group Nickleback, then you know where Hanna is on the map. This is the small town where this successful band has grown up and put down their roots. 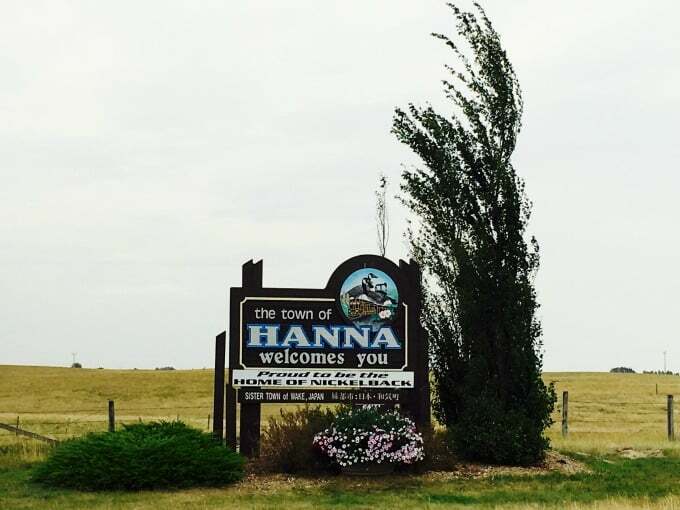 Hanna is one of those quiet Prairie towns in Alberta that if you blink driving past it on the highway, you may actually miss it. What a sad day that would be indeed, for nestled on the sleepy and quiet main street, is Hanna Pizza and Steak House. You can add this restaurant to the list of hidden gems that Hanna has to offer. Opened in 1985 by Sami and Aida Kemeldean, this restaurant has become a staple in anyones diet that lives in Hanna. It has been locally family owned and operated for over 30 years, and it shows. The exterior is not flashy or showy, but as soon as you step inside, and smell that homemade food being prepared in the kitchen, it won’t matter. You will be greeted warmly, most likely by Sami himself, and taken to your seat, in the cosy, yet understated atmosphere. There are no fancy bells and whistles here to distract you, just really good homemade food. If sitting down for a meal is not something you want to experience, then simply make a call ahead for some great take out food. There is a large variety of food to pick from their menu, and the bar is well stocked. From poutine, with it’s homemade gravy, to pasta and steak and salads, you will leave feeling full and completely satisfied. And let’s not forget the pizza! Every time I am in town, getting my hands on one is on my To Do List. Fresh ingredients and homemade sauce make this pizza a must try! It really is some of the best pizza around. If you want to try something a little different, there is also traditional Lebanese dishes to add to your order, that will startle and delight your taste buds. If you are looking for a bright and shiny restaurant that will wow you with its showy atmosphere and mediocre food, then stopping by one of the many establishments in any larger city would be a better option for you. 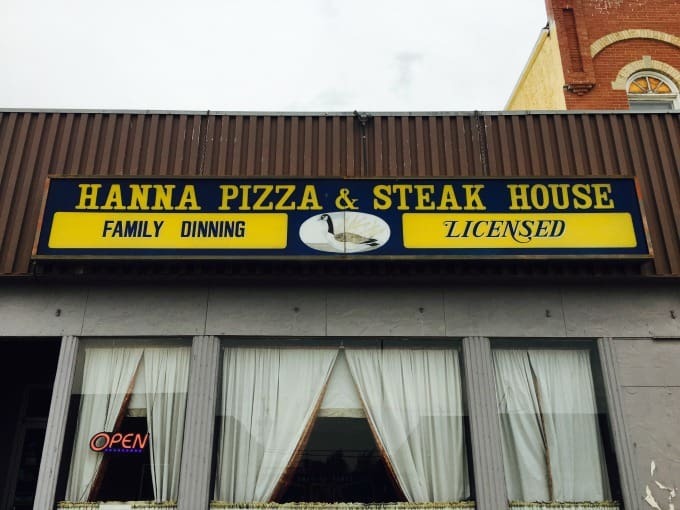 However, if you are looking for that cosy and homy vibe, but most of all just a really good homemade meal and a decent price tag to go with it, then make sure to stop by Hanna Pizza and Steak House; it will be worth the drive. This sounds like a delicious place to eat at! I love Pizza and steakhouses. Pizza is my favorite dish! This looks like a great place to eat. I love the idea of good home-cooking at a restaurant, so often it’s tasteless or not good quality. This sounds like a good place to eat. A good home made meal sounds exactly what we generally look for. I have driven by Hanna but never stopped to eat. Thanks for sharing about this restaurant. My uncle who lived in Calgary used to drive to Hanna every 5 years to buy a new car. Too far of a drive for me but it does sound like a great place to check out if you are in the area. My son loves Nickelback but we have never stopped in Hanna. Maybe next time we go to Drumheller, we’ll have to swing by Hanna for some lunch. I haven’t been to Hanna for a long time but would love to go try their pizza. Hmm pizza and steak, I wouldn’t mind eating that! !